Digital radiography is state-of-the-art technology that not only allows dental treatment to become safer, but also more accurate. Our computerized imaging system removes the need of toxic chemicals, and also allows for the use of less radiation. Digital dental radiographs use half the radiation that traditional film-based radiographs! 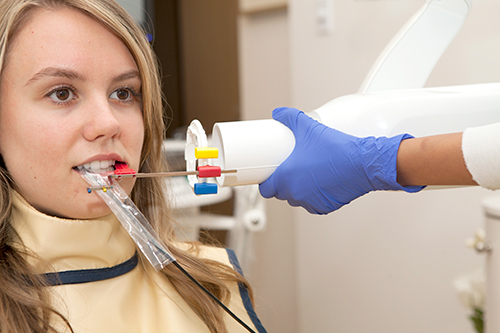 In addition, images can be manipulated for a better diagnosis and any quick referrals. Copyright 2014 by Bright Dental Clinic.